Applications are hereby invited from suitably qualified candidates for admission into the Higher National Diploma (HND) programmes of the Polytechnic for the 2018/2019 Academic session. Guidelines for Auchi Polytechnic HND Admission. All candidates seeking admission into the Higher National Diploma programmes of the Polytechnic must ensure that they were offered admissions through the Joint Admissions and Matriculation Board during their National Diploma programme(s). Any candidate that does not have an Admission letter and registration number from JAMB for the National Diploma programme is ineligible for the Higher National Diploma admission, such persons will not be mobilized for the National Youth Service Corps (NYSC) Scheme. Candidates are to note that these requirements supersede the information contained in the Polytechnic’s Prospectus. Auchi Polytechnic HND Admission Requirements. Candidates for any of the Higher National Diploma (HND) programmes must possess the National Diploma (ND) of the Polytechnic or an equivalent qualification from other similar Institutions whose programmes have earned NBTE Candidates must possess a National Diploma Certificate in the course they intend to pursue at the Higher National Diploma Level. In addition to specific departmental requirements, candidates must possess Five (5) Ordinary Level credit passes at one sitting or Six (6) Ordinary Level credit passes at two (2) sittings, which must include Mathematics and English Language, in WAEC, NECO or NABTEB examination. A credit pass in Literature in English at O’level is compulsory for candidates seeking admission into the Department of Mass Communication. A credit pass in Economics at O’level is compulsory for candidates seeking admission into the Department of Accountancy. Also, candidates must have at least one year Post National Diploma (ND) Industrial Experience (IT) or two (2) years Post National Diploma Industrial Experience for candidates with a pass grade at the National Diploma level. Academic transcripts from the candidates’ Institutions (except for graduands of Auchi Polytechnic) must be submitted before the application for the Higher National Diploma admission will be processed. Candidates should note that any student found to be deficient after admission will be withdrawn. How to Buy Auchi Polytechnic HND Form. Application forms will be completed online via the Polytechnic website: www.auchipoly.edu.ng (All applicants are required to pay a non-refundable application and screening fee of Fifteen Thousand (₦15,000.00) Naira only payable through the following Banks nationwide in favour of Auchi Polytechnic Treasury Single Account (TSA) No.1000075, using Remita Retrieval Reference (RRR) generated from the Polytechnic Website. Read and follow the steps below carefully. 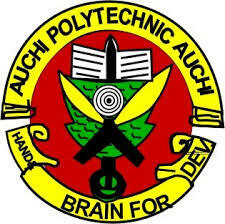 Open your web browser and type in Auchi Polytechnic URL: auchipoly.edu.ng to display the Auchi Polytechnic web page. Select the desired portal (morning, evening or degree). Click on the Apply for 2018/2019 Auchi Polytechnic ND, HND OR PROFESSIONAL DIPLOMA as it applies to you. The application form request will display. Carefully complete the application form. Ensure that you provide all required information correctly. NOTE: provide a username, (Preferably your phone number) and a Write your username and password in a safe place because you will need them for subsequent logins. Then click Generate Remita Retrieval Reference. Take the generated REMITA RETRIEVAL REFERENCE (RRR) to the designated bank and request that your payment be processed on the REMITA platform. You can also make payments on any REMITA approved payment channels. Allow a couple of hours for your payment to be processed before returning to the portal to continue with your application. Login with your username and password. Click on Continue With My Application Form. Complete the application form carefully. Ensure that you provide required information correctly as false information may disqualify your application. Upload your passport photograph as well as the required scanned copies of your credentials. Print a copy of the Acknowledgement slip and two copies of the application form. Print a copy of application summary sheet. Enclose two (2) sets of photocopies of your credentials; e-receipt of remita payment, birth certificate and two (2) recent passport-sized photographs to the forms in an envelope. Then bring the envelope with you to the Polytechnic on the yet to be announced date for a physical screening exercise. Any payment procedure generated and processed on any other platform for the purpose of admission is invalid. All payment procedures must originate from the www.auchipoly.edu.ng website. The Portal is already integrated with the Remita payment platform.